Our Healthy Food Gift Baskets and Healthy Snack Gift Baskets are filled with the finest gourmet food, snacks and culinary delights! 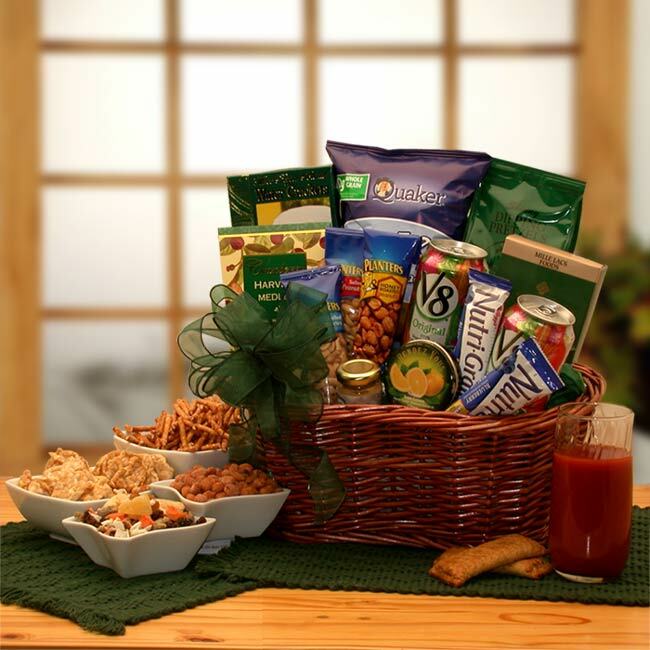 Healthy Gift Baskets for the Healthy Gourmet, delivered to their home, office or college dorm. included with all of our Healthy Food Gift Baskets & Healthy Snack Gift Baskets!